Can I tell you something about me? I hate the Christmas rush. I hate it so much I refuse to get caught up in it. But I am fanatic about a joy-filled, meaningful celebration, so I start early! Making and wrapping my gifts a tiny bit at a time. Using two of my etched dies sets, here’s my latest gift box. It’s easy as can be, if you take your time and enjoy each step. 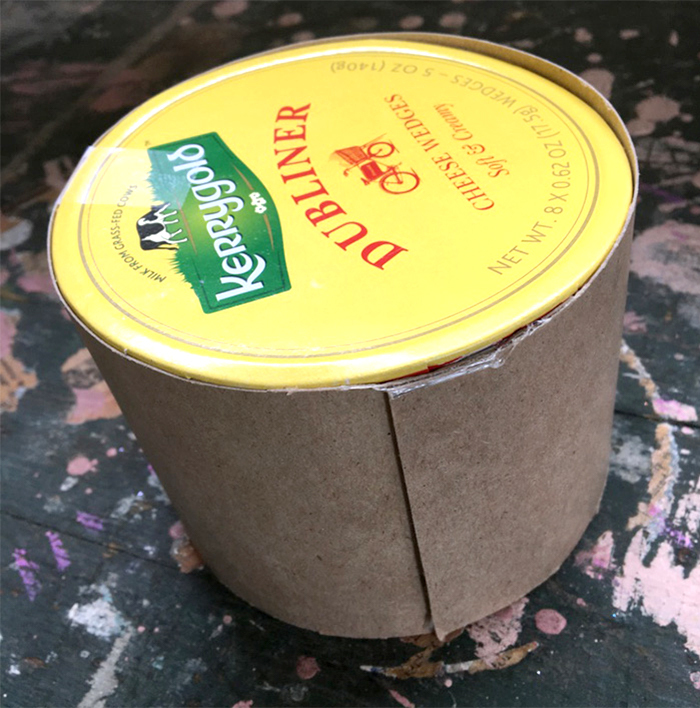 Let’s make our little box taller by adding a strip of tag board. Use whatever size will make your decorations fit. 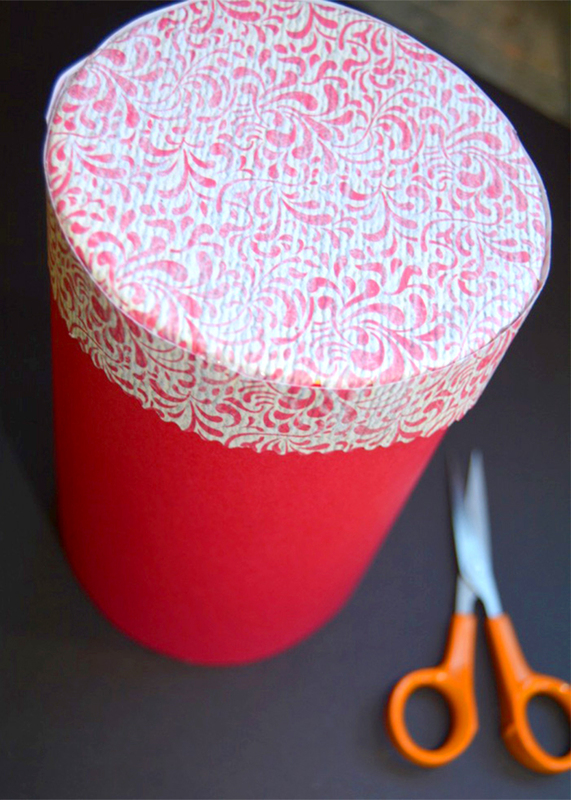 Trace a circle around the lid as a guide on a pretty piece of paper. Note to cut the piece a bit larger than your penciled outline. Then clip out little wedges on its edges as shown so it will fit well, and glue down. Now you’re ready to add the decorative elements. 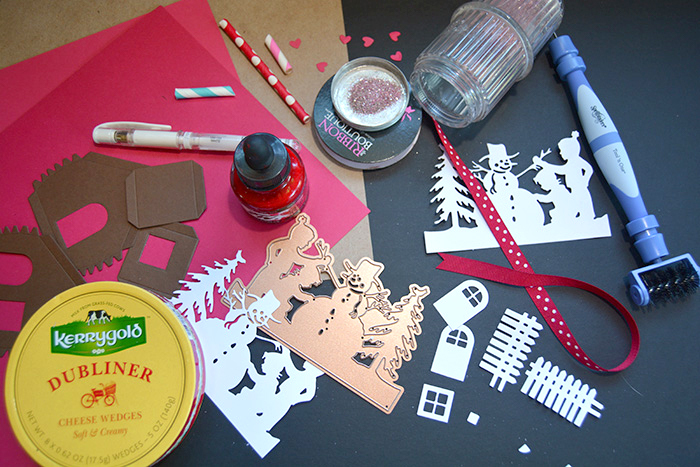 Use your favorite adhesive to stick the Building a Snowman Etched Dies die cuts to the base of your box. Don’t panic when things don’t go perfectly. 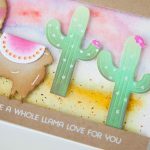 Remember, this isn’t a contest and you are a creative crafter, right? 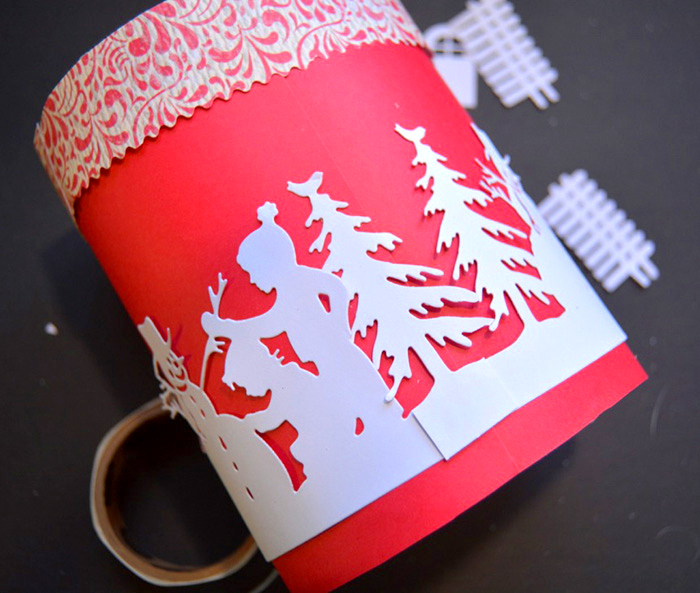 Just take a piece of scrap and cut out an extra bit to fill in, you clever thing, you! And trim off the wonky part on the bottom, while you’re at it. Let’s decorate it a little more. Use your glitter, sequins, ribbon, inks, or whatever. Put on some music and dance! 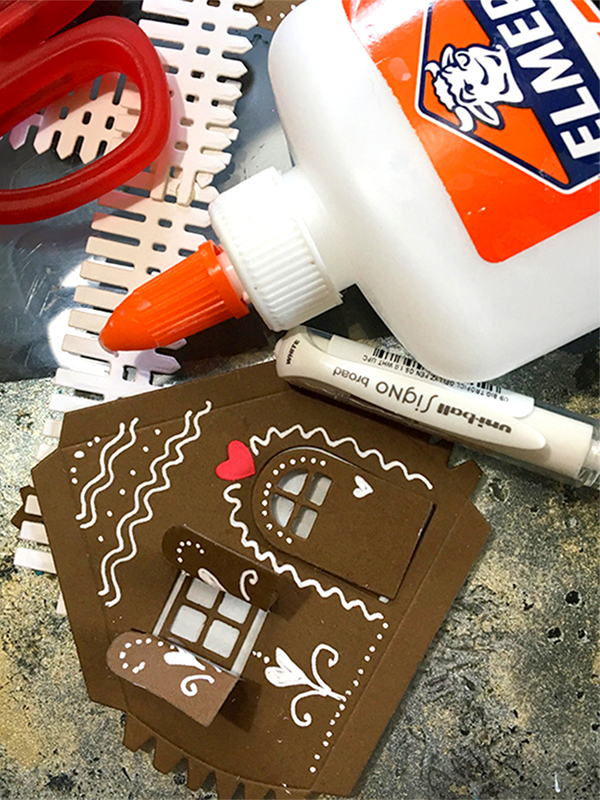 Get out the Build a House Etched Dies, cut it out and decorate as you like. Mine was made like a gingerbread house. 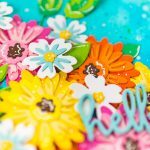 For the icing details, I drew with a Uni-Ball Signo pen – its dense opaque white ink never fails. Pieces of vellum were placed behind my windows so a battery operated votive light can be tucked inside. I added a straw chimney and smoke was made from a piece of pipe cleaner. 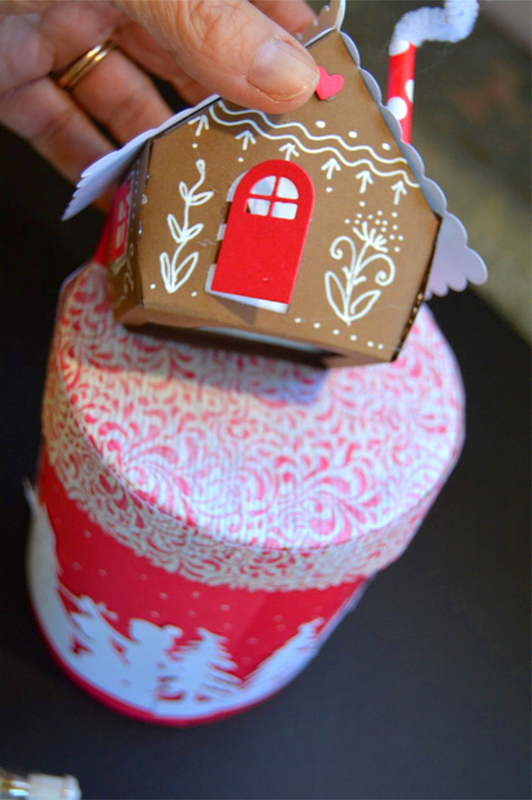 Assemble your house and then attach to the lid of your round box. 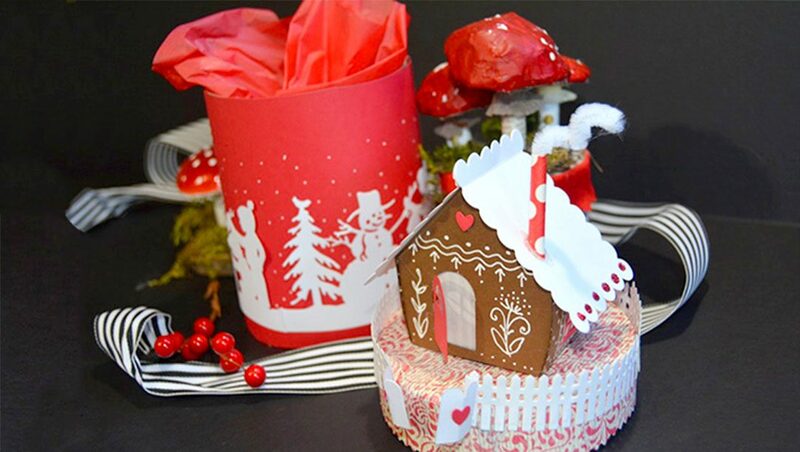 Finally, tuck in a piece of tissue paper with a little home made gift inside. Christmas is going to be full of magic. You’re going to be ready early so you can enjoy every moment, stress free! That is adorable. I love the little gingerbread house. I LOVE your project Sharyn! 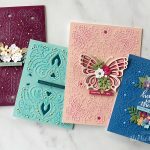 Your holiday die collection is amazing. My wish list keeps growing and growing! Carole, I’m glad you like it. I love to see how many ways I can use a die. 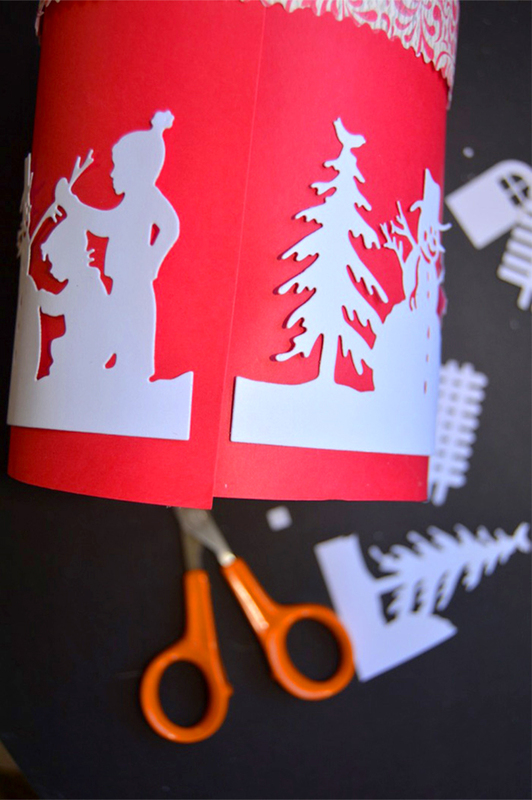 This one makes a great strand of lights for the tree or across a doorway, too. More about how to do that soon! Hi Deb, I’m so glad you like them. I snipped each with my little scissors. It’s how Christmas feels in the small town where I live and probably where everyone else lives, too. 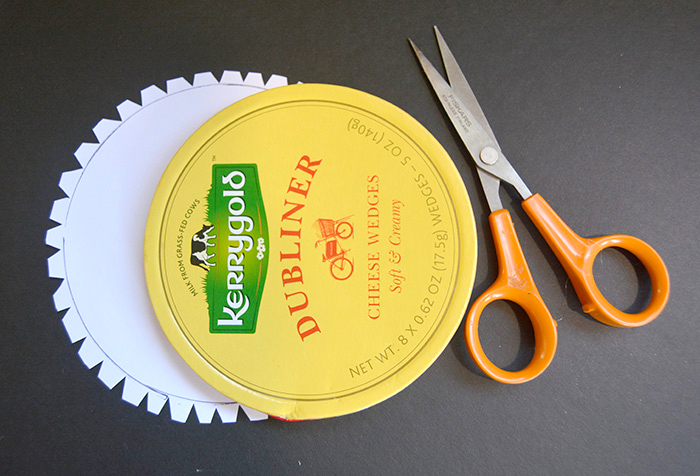 Fun to plan ahead, crafting now for the holidays, isn’t it?